So last week I showed you a smoosh nail art manicure in which I used a whole bunch of polishes, including two that I used in this beachy manicure: China Glaze Rodeo Fanatic and Dreamland Lacquer A Wedding Dress That Isn’t Bright Turquoise. 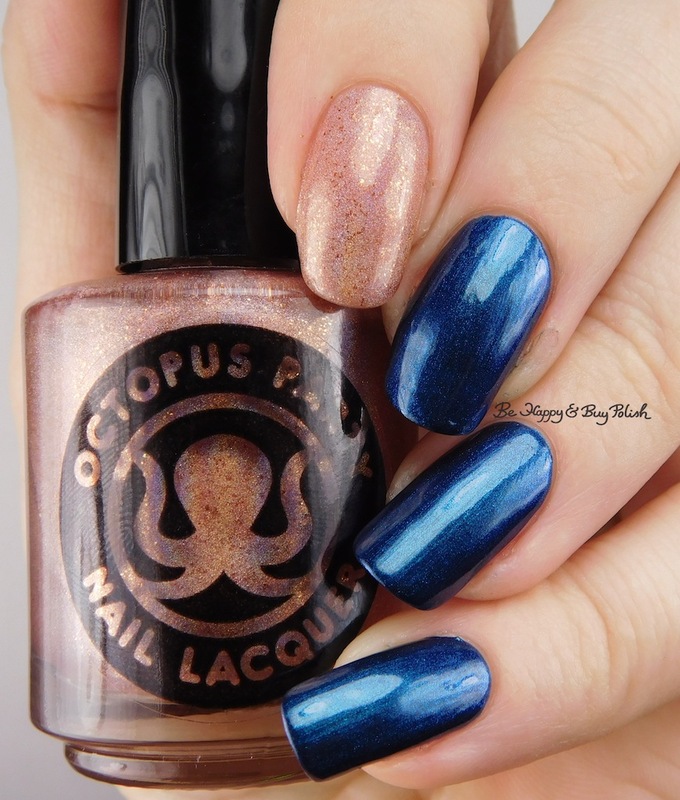 I also used Octopus Party Nail Lacquer Homeward Sound and Pretty & Polished Sand in My Crack for today’s manicure. I started off with Rodeo Fanatic on my middle, ring, and pinky fingers. It’s got a lovely shiftiness going on that is to die for! Formula was a little thin, and can be draggy – make sure you let each coat dry. This is 3 coats and no top coat. On my thumb and pointer finger, I started with Octopus Party Nail Lacquer Homeward Sound. 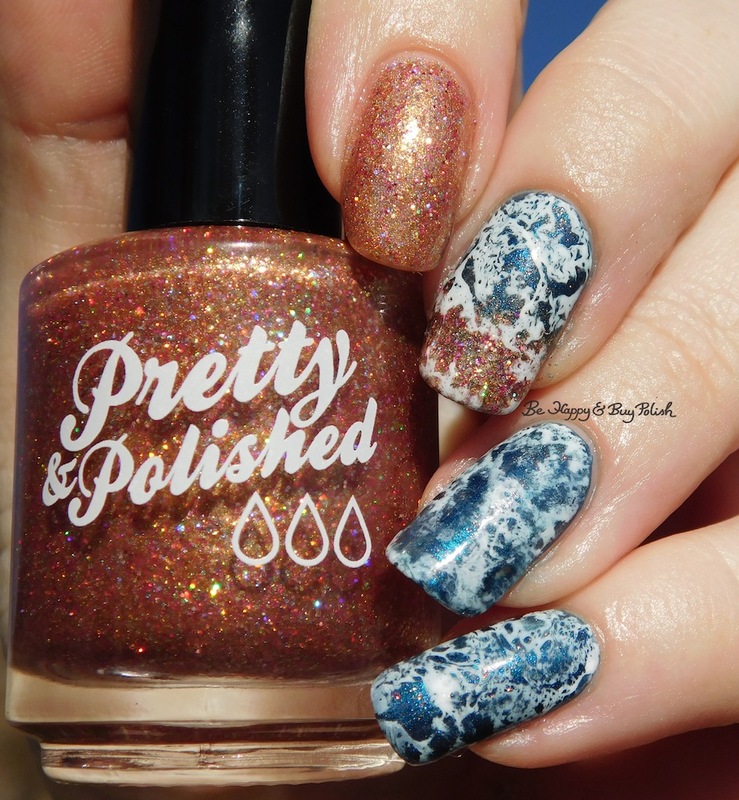 This is a peachy holographic polish with gold flakies. Application was nice and smooth! This is 2 coats and no top coat. I was so excited to use AWDTIBT that I forgot to take a picture of it! Oops. So here it is (sort of). 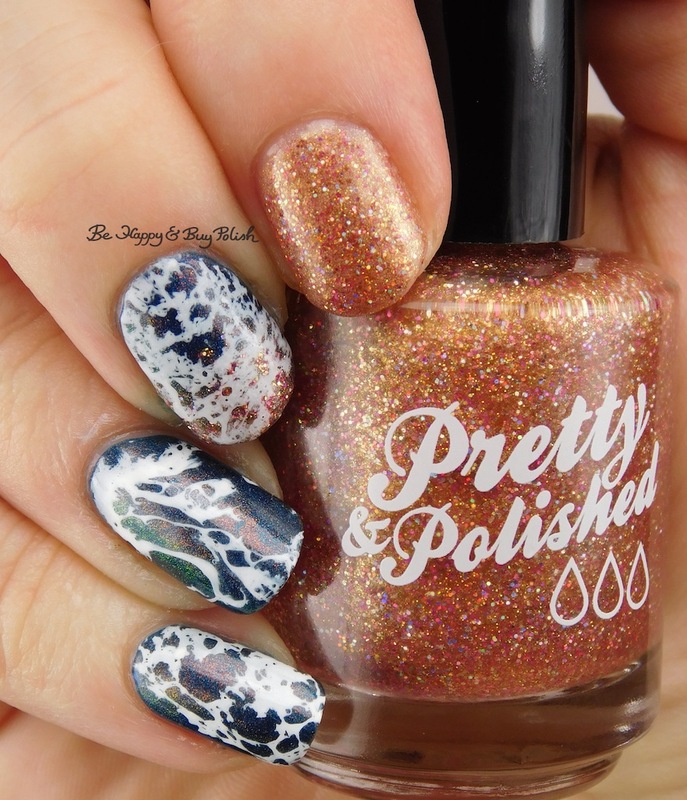 To create the beach part of the mani, I used 1 coat of Pretty & Polished Sand in My Crack (haha, best name ever!) over OPNL Homeward Sound. This does dry textured, so it needs a bit of extra top coat. I actually like how my right hand turned out way better than how my left hand turned out. I feel like the white part was spaced out better, or something? This mani totally grew on me though, and I ended up having it on for a few more days than I was going to originally. I’d love to know what you think – reminds you of a beach or not? Nice beach nails you created.